End stage renal disease (ESRD) is a serious chronic illness which requires constant management. The dialysis technician is a vital member of each patient’s treatment team, able to perform the more routine aspects of dialysis for the vast majority of dialysis patients, so that nurses and doctors can concentrate on more difficult medical issues. As a dialysis technician, the work you will be doing is life-sustaining. Human kidneys perform functions vital to human life; when a patient’s kidneys fail, renal replacement therapies (dialysis or kidney transplant) are the only ways to keep the patient alive. You will be helping to extend patients’ lifespans and give patients a new lease on life, every day you work as a dialysis technician. During dialysis, you are the staff member with whom the patient will be interacting most. You have to be sufficiently knowledgeable about dialysis to know what to do in case of emergency; to answer the patient’s many questions; and to help put his or her mind at ease. New dialysis patients, still suffering from untreated ESRD, are typically in bad shape. They are suffering from various symptoms, some of which may be severe. Additionally, they are probably aware that chronic kidney failure is a life-threatening condition, so they may be anxious and fearful about their future. The dialysis treatments you will help give these patients can alleviate their symptoms, get them back on their feet, and enable them to enjoy an improved quality of life. You will know that you helped make that restoration happen. As patients recover, they are typically grateful to their treatment team of which you are a part, for the positive effects that dialysis has had on their lives. Many dialysis patients eventually develop a good working relationship with their dialysis technicians. During your hemodialysis session, you will be interacting primarily with your dialysis technician. The dialysis technician’s job is to help perform your dialysis treatment. Dialysis is a complex procedure, involving many steps and a lot of equipment. Everything must be made to work properly and in the right order. Your dialysis technician has undergone extensive training to know how to do all this. During dialysis, your dialysis technician will constantly monitor the dialysis machine and your vital signs, to ensure your safety and to track the progress of the dialysis treatment. He or she will also keep careful records of this information. Get to know your dialysis technician. Familiarize him or her with your health condition as much as you can. Tell him or her about your symptoms and experiences, both good and bad. The more your dialysis technician knows about you, the better he or she can treat you. If necessary, he or she will call a nephrology nurse for assistance. A good dialysis technician takes an active interest in how well you are doing: Not just how well the dialysis is going, but how well you are doing overall, both as a patient and as a person. He or she is there to help you. And the dialysis technician knows from training and experience how stressful dialysis can be, particularly for new patients. If you are feeling worried, or afraid, or upset, tell your dialysis technician. He or she will try to calm your concerns and put you more at ease. Your dialysis technician is a professional, pledged to maintain strict confidentiality about anything you say. If you have any questions about dialysis or what you should do between dialysis sessions, ask your dialysis technician. If you’ve been having any health problems or annoying symptoms, tell your dialysis technician about those too. 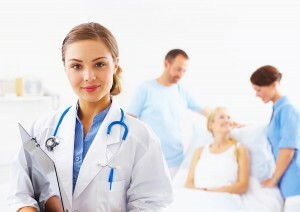 He or she can advise you on how to care for your dialysis access and how to prepare for your next dialysis treatment. If necessary, he or she can ask a dialysis nurse or social worker to help you with your problem. Don’t be embarrassed if you forget something and have to ask your dialysis technician about it again. A good dialysis technician is patient. He or she knows that ESRD and its treatment are complex subjects, too much to absorb all at once, especially when you’re not feeling well. It’s your dialysis technician’s job to ensure that your dialysis treatment is as safe and comfortable as possible. Before you start dialysis, he or she will clean the machine, chair, and general area. Your dialysis technician is also trained in infection control. He or she knows how important it is to avoid infection of your access site, and he will take many precautions to prevent such an occurrence. During your treatment, if you feel that something isn’t right or you see something that doesn’t look right, tell your dialysis technician about it immediately! Don’t be embarrassed or reluctant to speak up. Your treatment team is depending on you to let them know about any problems that they haven’t noticed themselves. And while undergoing dialysis, you shouldn’t feel sick or uncomfortable—not if your dialysis technician can help it! Quite often, he or she has seen such problems before and will know what to do. If not, he or she will ask a dialysis nurse. Your dialysis technician is also trained to cope with a variety of alarms and emergencies that may occur. For example, an electrical power failure might cause your dialysis machine to stop working. If that should happen, your dialysis technician will operate the machine manually to return your blood to you safely. This is just one example but know that dialysis patients are the technicians number one concern and you will be in good hands. As time goes on, you may develop a good working relationship with your dialysis technician. That should help make these dialysis treatments go more smoothly.